← Print Your Own – is printing your own fabric the ultimate me-made? When the lovely Portia invited me to take part in her Refashioners project for the 3rd time earlier this year I immediately said yes. 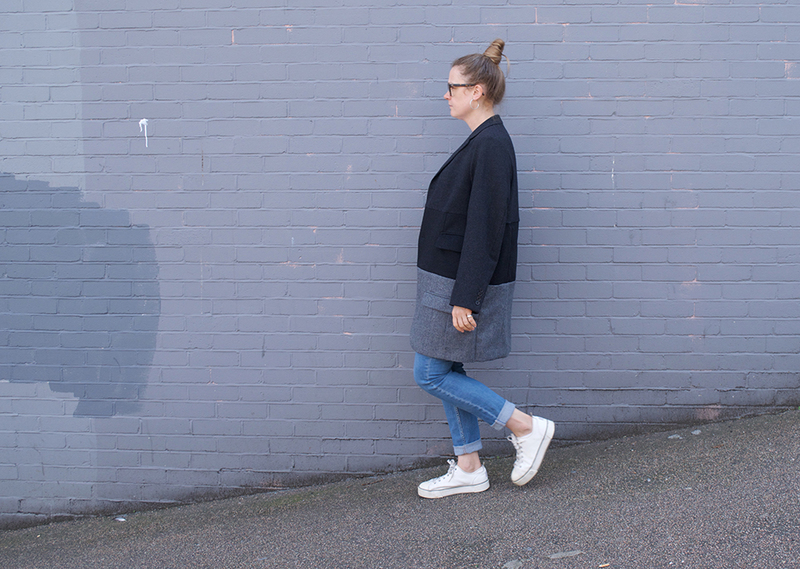 I’ve really enjoyed taking part in previous years (you can see my shirt refashions here and here and my jeans refashion last year resulted in this tutorial). My number one criteria was that this refashion MUST be something that I would wear a lot. I can’t see the point in using up perfectly re-saleable 2nd hand garments in a project just to show off how clever I might think I am (and I can safely say that I do wear all my previous 3 Refashioners projects). I also knew the work involved would probably be quite high and I didn’t want to waste any of the lovely fabric. 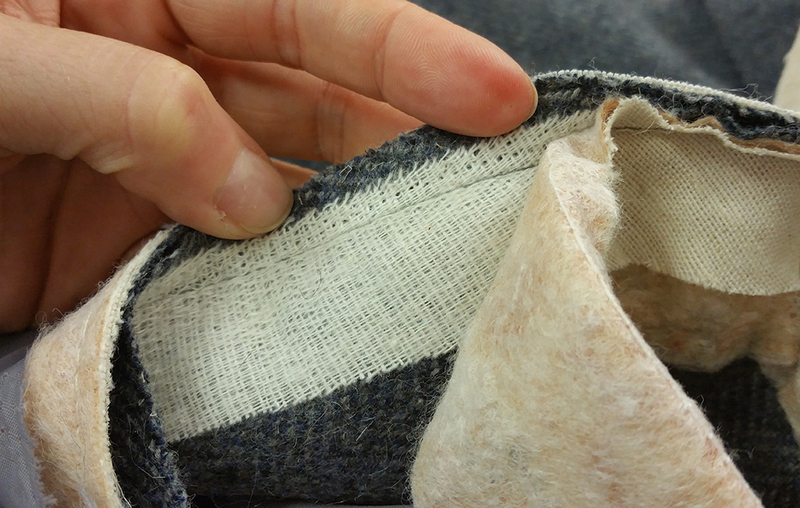 I’ve been thinking about and posting about and writing about zero-waste sewing and the challenge of sewing in a sustainable way a lot recently. For those of you who don’t know, I used to work in the fashion industry and one of the companies I worked for was an organic fair-trade clothing business, so I know first-hand that it’s possible to do things differently. 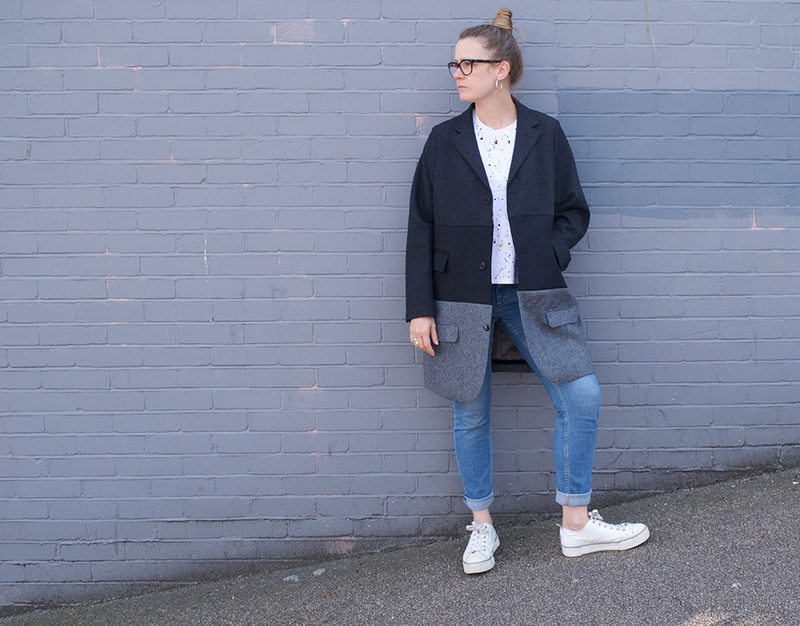 Prior to that I worked for one of the UK’s biggest fast fashion retailers when I was an idealistic fashion graduate, so I also know that there’s a huge problem needing to be solved. I’ve also done an MA in design during which I spent two years investigating ways to re-use textile waste and then spent a huge amount of time and effort in 2005 (before I decided to start teaching) researching a big project on textile recycling that I intended to do as a PhD at the Royal College of Art. I was even offered a place after a daunting interview involving, amongst others, Wendy Dagworthy, but sadly I decided that the person who would be my supervisor (not Wendy!) wasn’t someone with whom I would be able to work for 4 years. That’s another (long) story, but it’s all brought me to the here and now. Anyway, back to the Refashioners, I was very excited about this year’s theme of suits – I love a good suit jacket; the work involved on the inside to create the subtle shaping and fitting is way above and beyond other RTW garments and the use of good quality cloth all got my cogs whirring and clicking as I set off at a gallop with earnest plans for a zero waste design for a cocoon style oversized coat or kimono using just suit jackets and I began collecting lots of inspiration on this Pinterest board. Zero Waste Fashion Design by Timo Rissanen and Holly McQuillan (full of contemporary design and technique ideas). Make Your Own Japanese Clothes by John Marshall (with some excellent kimono making instructions). 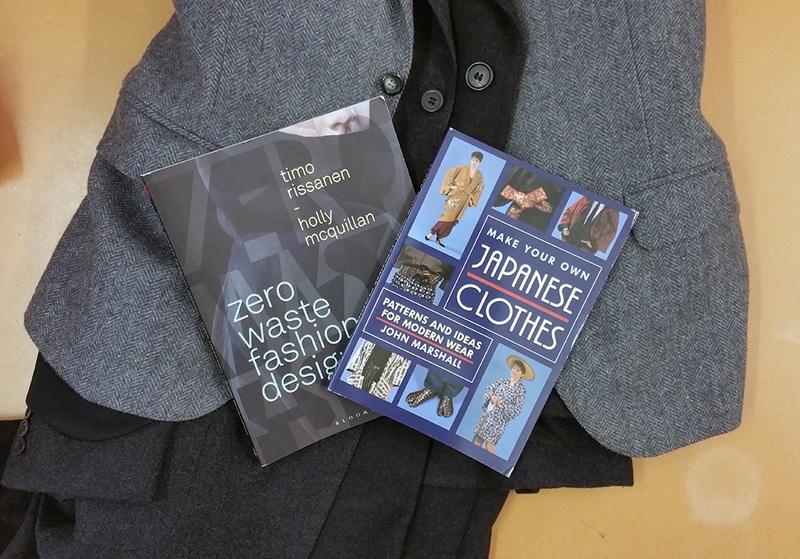 If you’re interested in zero waste design and refashioning I highly recommend both! However, like a lot of creative endeavours, once I actually got out the scissors and started, I realised pretty quickly that I needed to re-think. 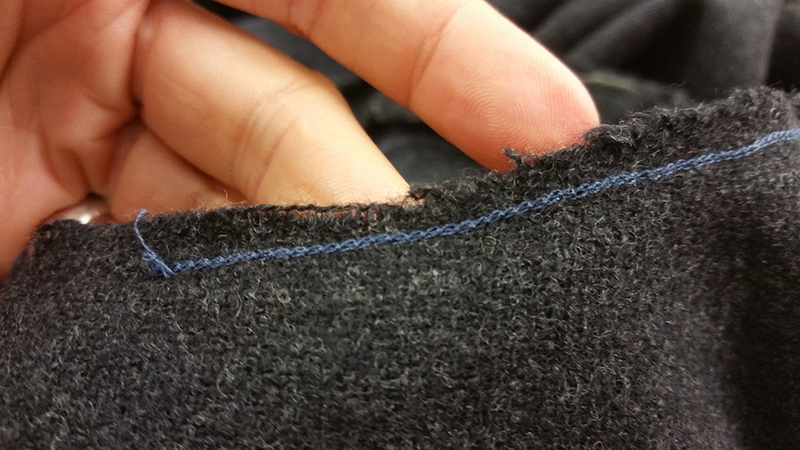 There isn’t actually much useful fabric to “harvest” in terms of breaking down a suit jacket for useful pieces of cloth (unlike the shirts and jeans from the previous two years); there are lots of pieces in jackets and they have a lot of shaping. So, rather than the safe refashioning route of piecing together fabric and using a pattern, I decided to put my faith in the garments and let them dictate the outcome. As a self-confessed control freak, this is NOT my preferred strategy! I like to know exactly what I’m doing and have a pretty sure idea how it’s going to turn out. I couldn’t toile this one (or rather I didn’t want to as that would’ve meant potentially wasting 3 jackets), so I had to just go with my gut and trust my abilities. Here are my three jacket purchases. No, stupidly I forgot to do the obligatory “before” picture wearing them to show you how huge they were, you’ll have to believe me – they were massive and all of them covered the tips of my fingers. 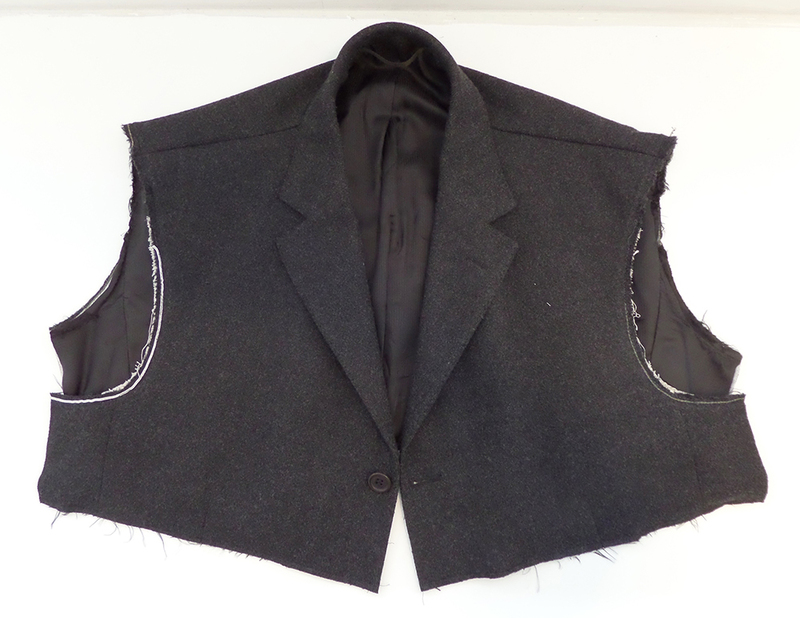 I decided to remove the sleeves from all three jackets along with as much as the inner scaffolding as possible, to enable me to create a softer, less structured garment which was what I wanted (as that’s what I enjoy wearing), rather than a very tailored look (as that’s not what I tend to wear). 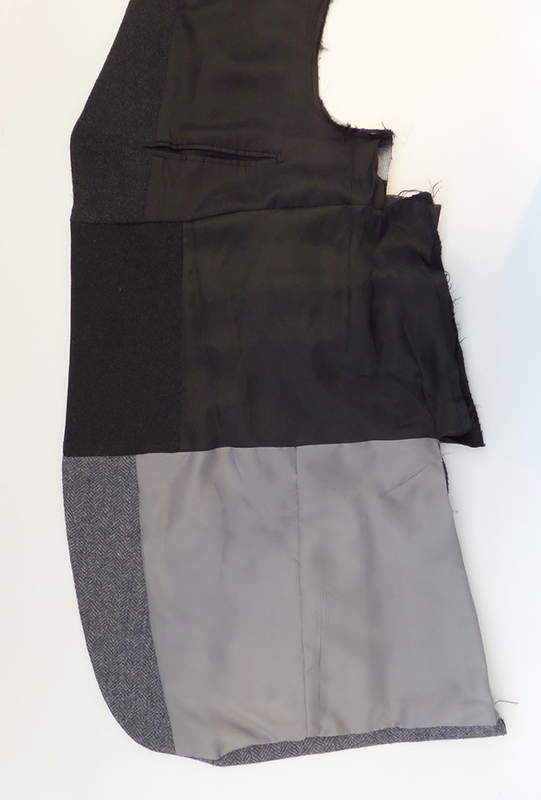 Sooo many layers of different canvas, interfacing, tape and interlining – all of these were from the sleeve heads and upper chest areas of the jackets. 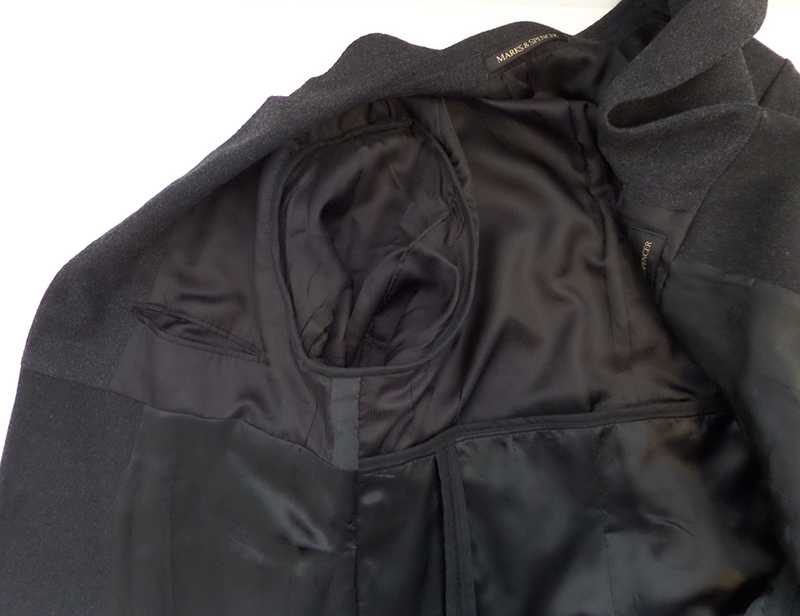 These are the places, except collars, that have the most work on the inside of a jacket to create shape and fit. 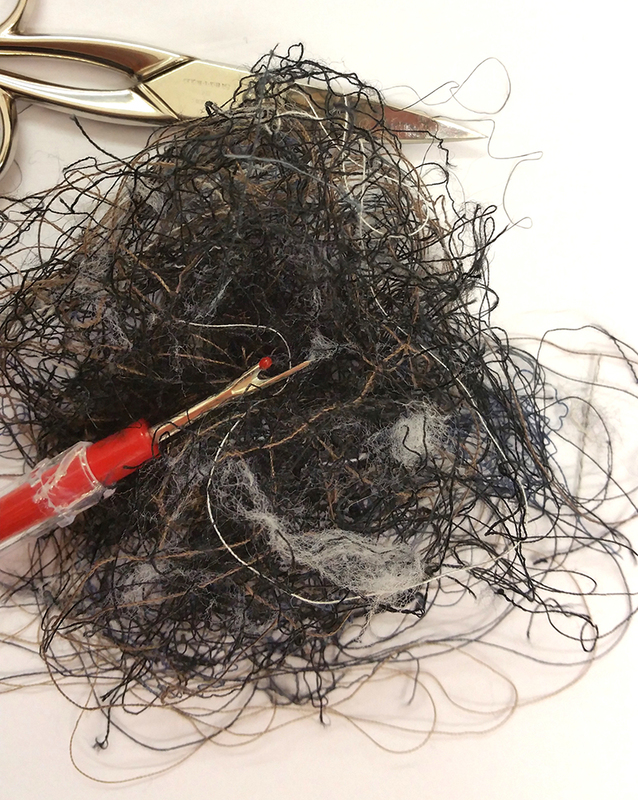 Oh and rather a lot of stitching and different types of thread too – fine thread for machine tacking, regular thread for machine sewing and thicker thread used for chainstitching to help to prevent armholes stretching out of shape. With my jackets prepped, my first decision was which jacket to use as my upper and to assess the fit around the shoulders and neck. 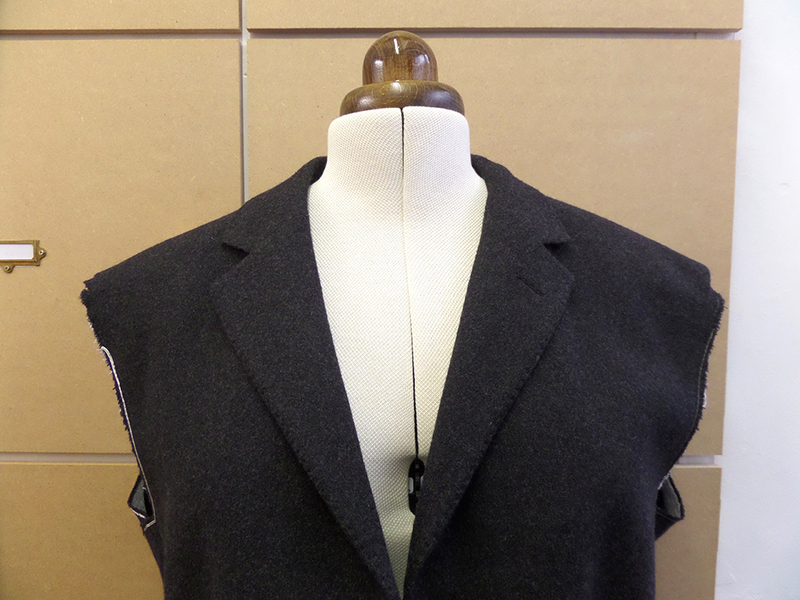 I plumped for the M&S wool jacket for the upper as I liked the collar shape and the soft malleable wool fabric. The first thing I did was to remove the hefty shoulder pads. This left behind shoulders that were far too square so I reshaped them by sloping the shoulder line down from the neck to the armhole. You can see the effect above – the shoulder on the left has been adjusted, the one on the right hasn’t. 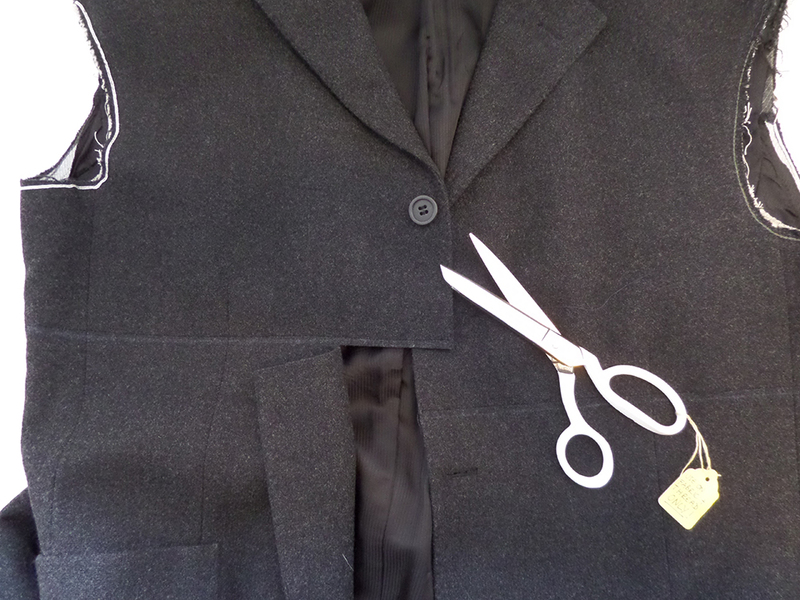 Next, I decided where to cut off this first jacket to place the seamline for the central jacket portion. 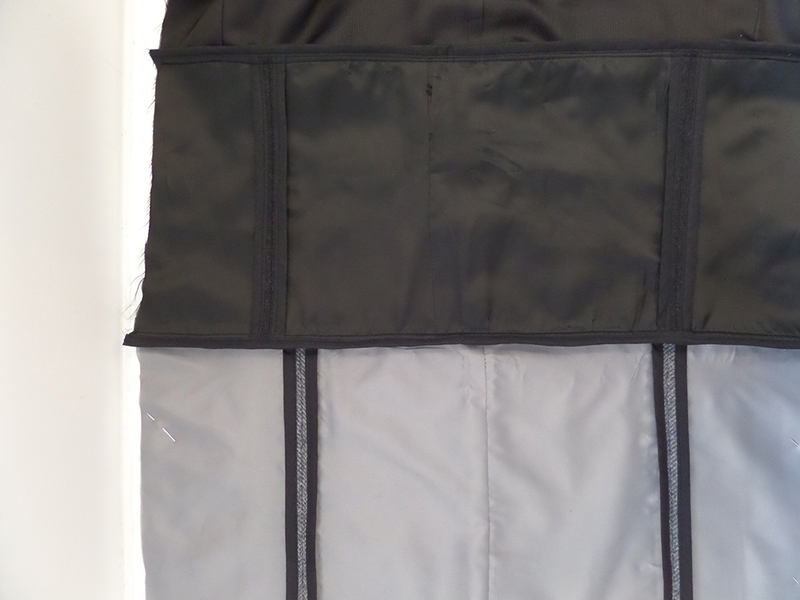 I then placed this upper jacket onto the jacket I’d chosen for the central panel to decide where to place the seamline on this one, taking into account button spacing and pocket positions. 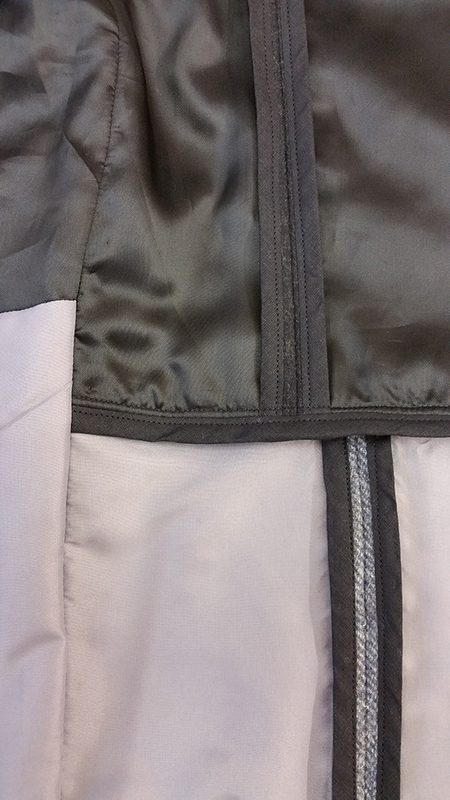 I repeated this process for the lower panel and managed to piece the outer fronts and lining fronts separately to keep the integrity of the jacket lining. Some patching and piecing and trimming was required to get the whole piece to roughly the same size. 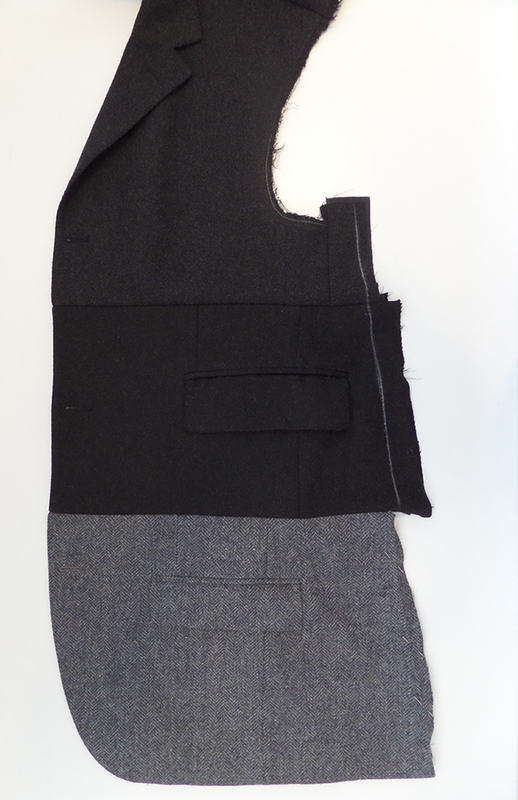 The back required more piecing than the front so I decided to treat the outer and lining as one and bind the seam allowances. 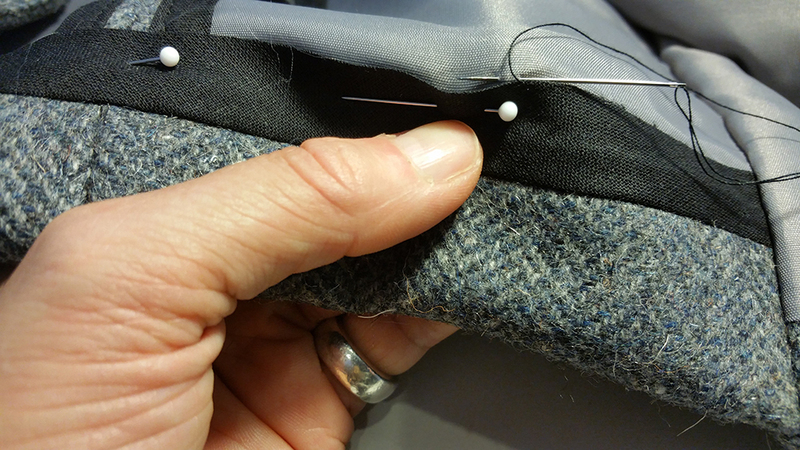 …and meant I could indulge in some satisfying seam matching…..! I finished the back hem with more bias binding and a hand slip stitch to create an invisible finish. 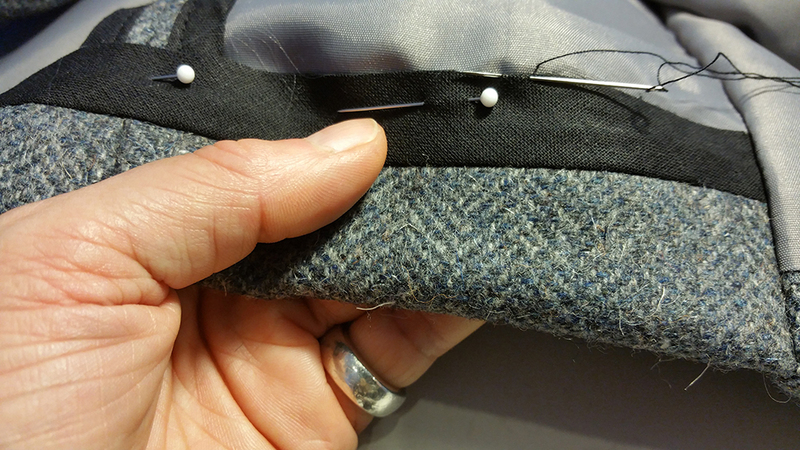 Make a small stitch through just the lining layer…. 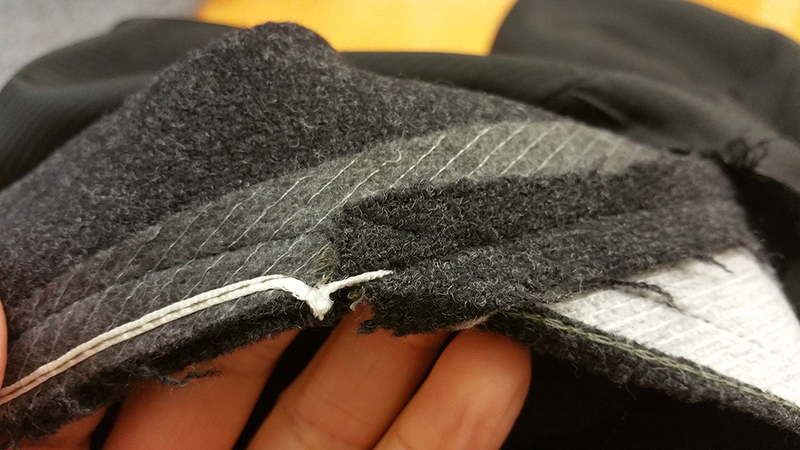 …followed by a small stitch along the folded edge of the bias binding. The final things to tackle were the sleeves and armholes. Currently the sleeves were too long and the armhole too far off my shoulder. 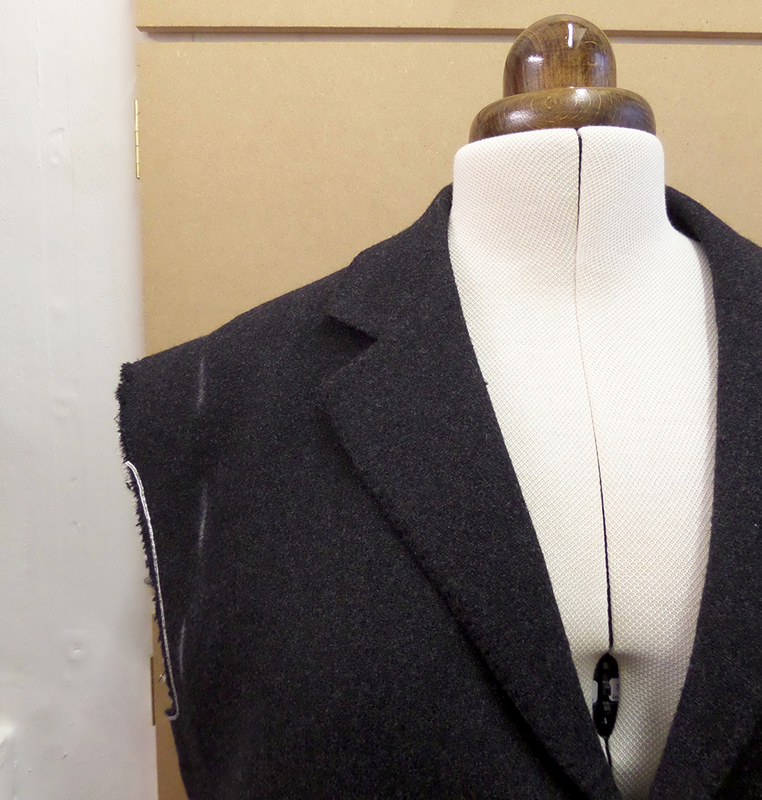 I tried the jacket on and marked the new position of the shoulder point and redrew the armhole. Before I trimmed away all that excess armhole fabric I tacked the original sleeves back in place. Sleeves can be tricky devils: the ease, the sleeve head roll, the pitch, all of which are going to be thrown out once you start altering armholes, so this felt like the most stressy part of the whole refashion. However, the sewing fairies must have been smiling on me as not only did the original sleeve fit back into the adjusted armhole (OK yes, I had lost most of the ease in the sleeve cap), but it also hung well, looked acceptable and was now exactly the right length! Now I’ve got to confess that was more by luck than judgement. 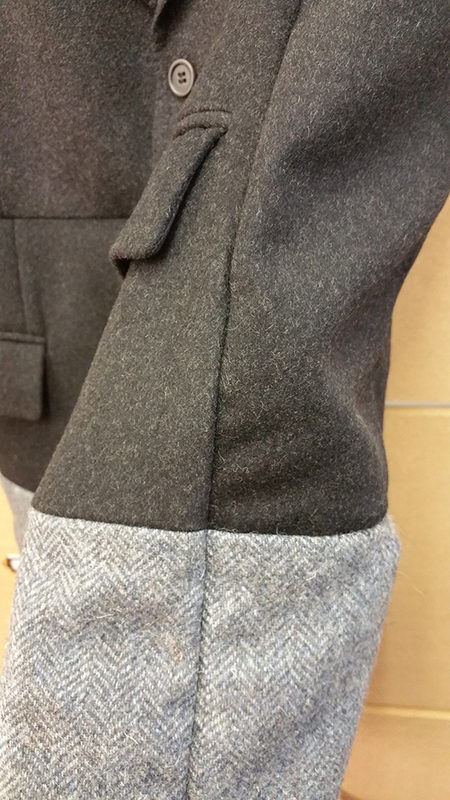 To create that lovely rise and fall around the sleeve cap I finished the inside of the armhole seam with more of that trusty bias binding, which did the job of creating a sleeve head roll without the need to put an actual sleeve head roll on the inside. Now the part that didn’t really conform to my original zero waste vision. There were leftovers. I’m currently thinking about reworking them into some cushion covers like this one I made a few years ago. They may make an appearance when I’m frantically sewing up Christmas presents on the 23rd of December….. This was a tough gig; the raw materials weren’t cheap and to be honest I felt like they could’ve been worn as they were. I could’ve chosen inferior quality jackets to start with, but I deliberately chose good quality as I wanted to wear the end result. Sometimes in refashioning you just have to trust your guts and let the garments dictate what you do with them. A tricky lesson to learn for a control freak!! Now I’m hoping this project may have been just the thing I’ve been needing to get back to some of that recycled textile work of mine. Watch this space. If you follow me on Instagram you might have seen this pop up in my feed back in August. I was very excited to find such an absolute treasure when I first started looking for jackets to use for this project. It’s actually so beautiful that I couldn’t bring myself to use it so, if anyone would like this gorgeous Harris Tweed jacket, just leave a comment telling me what you like (or dislike!) 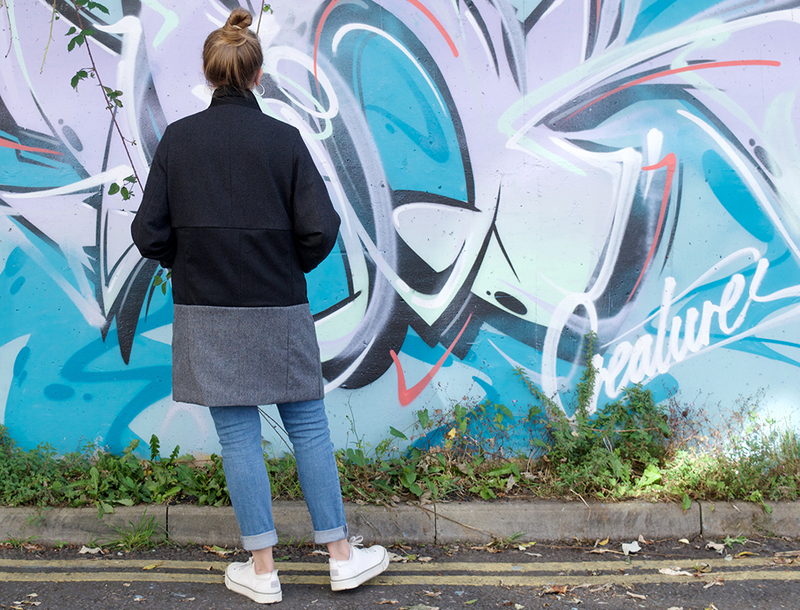 about my refashion and what you would do with this jacket and I’ll pick my favourite by Monday 16th October. You’ll just have to pay the postage, be that UK or international. 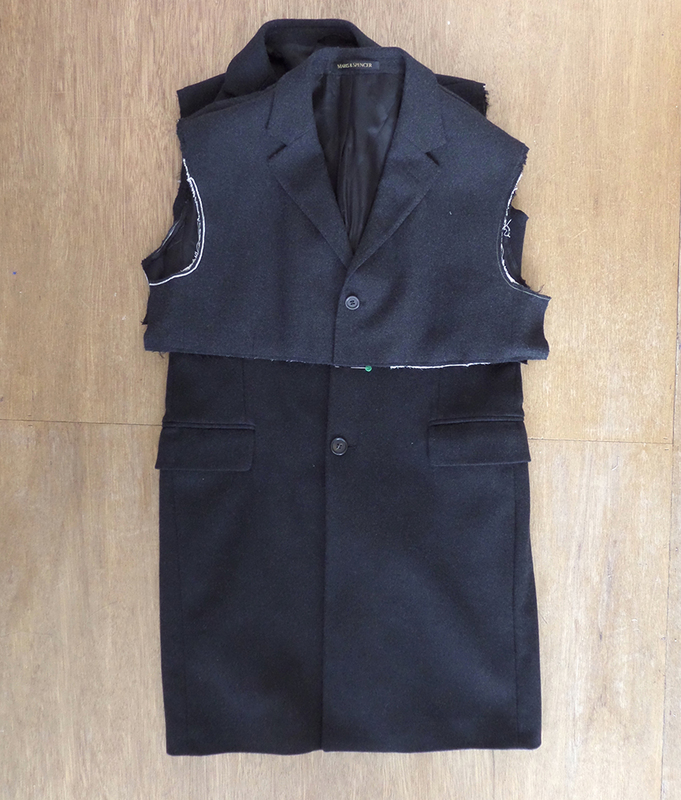 This entry was posted in Sustainable Sewing and tagged recycled clothes, recycled textiles, refashioned clothes, refashioned jacket, refashioners, refashioners 2017, refashioning, suits you, Sustainable Sewing, zero wast sewing. Bookmark the permalink. Wow! What a super refashion. Very effective. The Harris tweed jacket is beautiful. It’s our 7th wedding anniversary this year, which is wool. And I’m planning a Harris tweed waistcoat and cap for my husband. I reckon I could get a mini me version for our son too out of that jacket. Not keeping it whole but making excellent use of the fabric and lining and giving them new life. Aw what a lovely idea!! That could look VERY cute. I’m so glad I found your blog! I love your coat! The color blocking and the pockets are amazing. I also really like how you consider sustainability and zero waste while sewing. It’s one of the reasons I sew and I love reading other people’s thoughts about it. Thanks so much!! It’s easy to forget how much waste we produce and how much fabric we consume and squirrel away in our stashes when sewing isn’t it? It’s so important though, just as important as all the issues in the fashion industry for me. I’m happy to hear it’s a subject that’s on your radar too and has played a part in inspiring you to sew. I really love your refashion! I think it´s great that you looked for what you would wear, as opposed to what woul seam most “interesting” or “clever”! Although of course the final garment ist both interesting and clever! 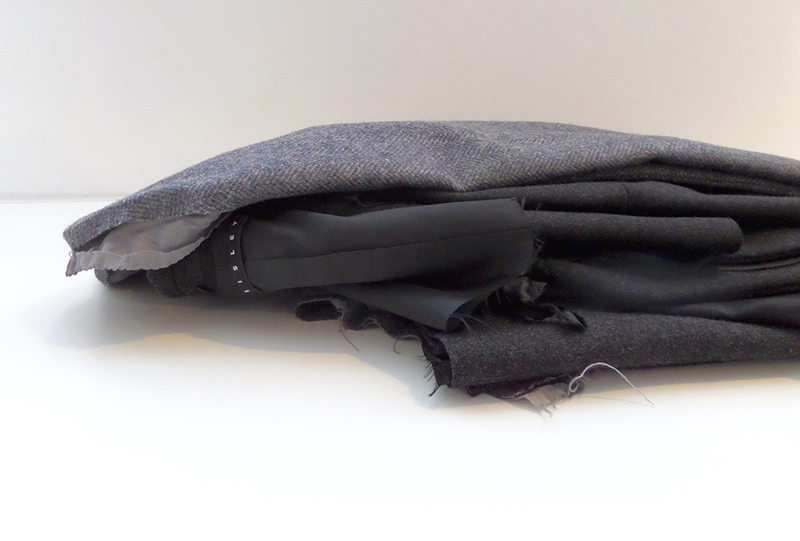 I have some leftover tweed fabric which I really should turn into a chushion such as yours- it´s very pretty! The tweed jacket, however, I could not turn into cushions. I would just adapt it to fit my husband, who loves Harris tweed and loves wearing suit jackets. Not a terribly interesting proposition, I know. But it would be the first thing I would make him *blush*. He´s a size 50, by the way. So, congrats on your make! Thanks Katharina! I kind of wish the jacket could just be worn by someone as it is. It’s pretty big, but I haven’t measured it or checked the label – I’ll have a look. 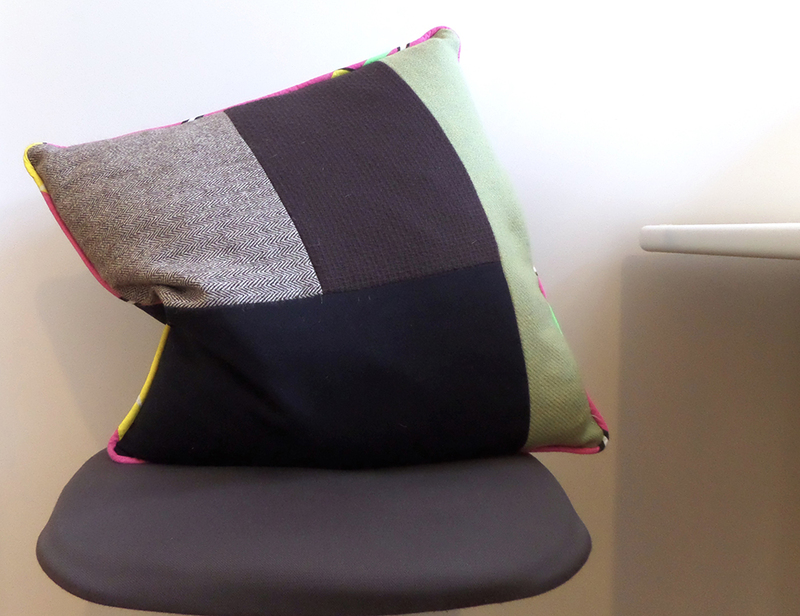 I hope I’ve inspired you to make some tweed cushion covers….! I love your approach and inspiration to the 2017 refashion challenge. I strongly support your goals for reducing fabric waste, however, when refashioning previously loved/worn garments I recognize its not as easy to reduce waste compared to purchasing fabric off the bolt for a project. Your idea for making pillows with the leftovers is an excellent choice and I could also see the leftovers made into a handbag, tote bag and perhaps a beret or hat. 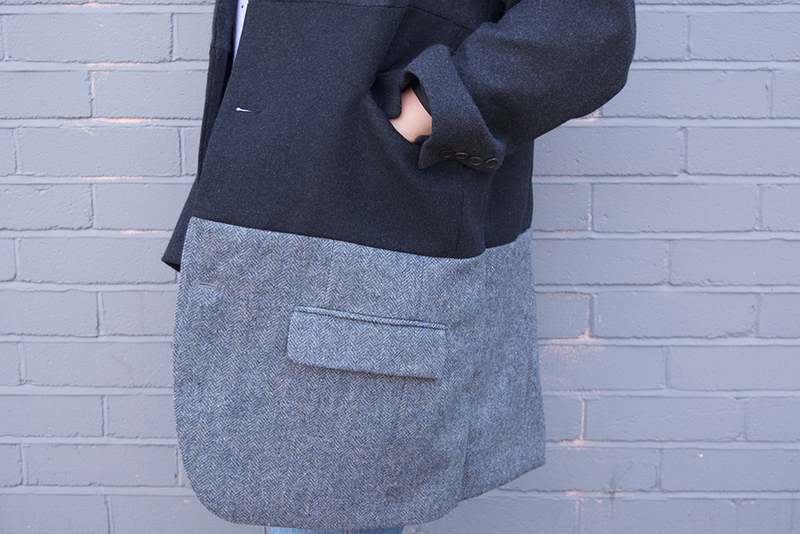 There are numerous “things” I love about your new coat – including – the mixing of the 3 grey tones of fabric, the beautiful interior finish on the seams etc., how you utilized the pockets as a design feature and how you incorporated the original button hole spacing – are brilliant ideas in my book. I live in northern Canada and I would be able to wear the coat for many years and it would be worth the time and expensive involved in the fabrication of the coat. 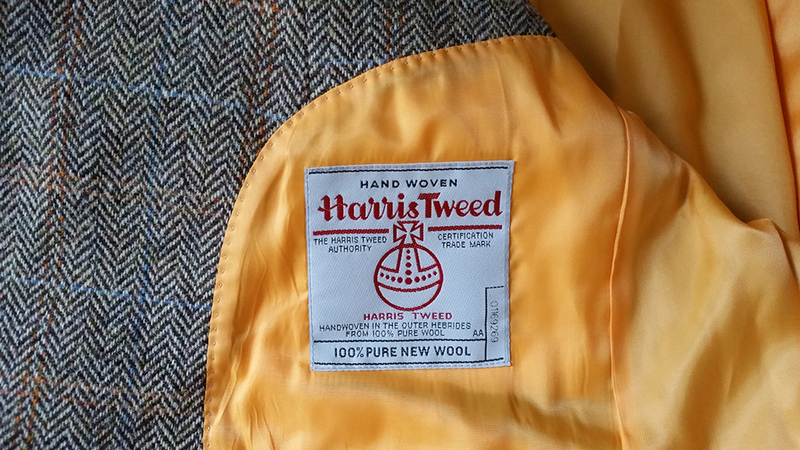 Regarding the Harris Tweed jacket – I recall my grandfather wearing tweed jackets when I was a kid. Today – given the blight of synthetic fabric and fast fashion – its rare to see a good quality wool garment in Canada let alone a hand woven Harris Tweed jacket. I would have to see the actual garment in order to determine how much fabric it contains before I could come up with a plan for reusing the jacket. If the jacket could be altered to fit me or my spouse without too much trouble – this would be my first choice. Otherwise I would probably consider making it into zippered up baseball jacket with contrasting velvet sleeves and velvet collar due to the fact I doubt there would be enough fabric in the tweed jacket to make it into the baseball jacket without the addition of another fabric. Any remnants from the baseball jacket would be used to make a matching beret or added to my collection of wool fabrics which I plan to use to make a quilt. Thanks Nancy, I too am thinking that this coat will be living with me for many years to come. I even like the thought of it getting threadbare and repaired and patched in its future. A Harris Tweed baseball jacket sounds great!! I’m also looking forward to using the remnants from my jackets and I’m sure they’re going to end up as some sort of home textile, it’s that time of year and they’re just the right colour and texture. 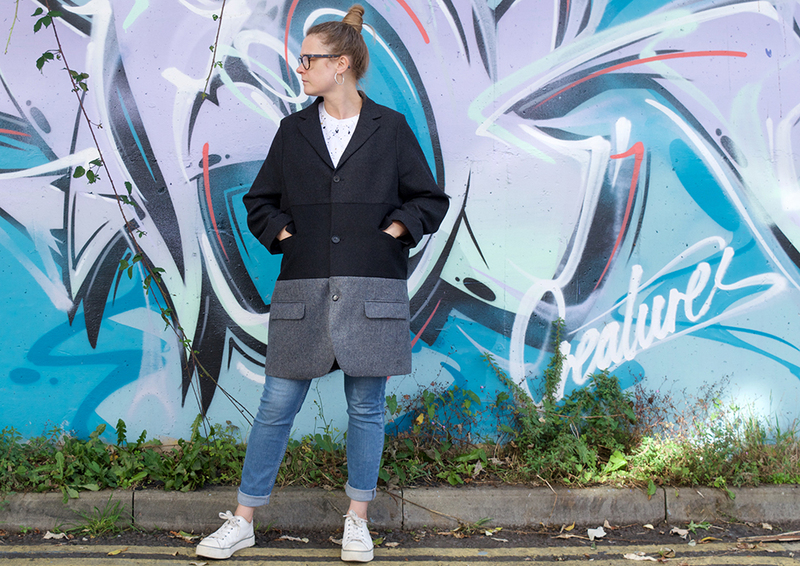 Hi Nancy, the Harris Tweed jacket is yours if you’d still like it – I’ve sent you an email. I love your jacket. The shape is perfect to be dressed up or down. You’ll nailed it! Thanks! I haven’t dressed it up yet, but I think you’re right. I’m looking forward to trying that out too, maybe closer to the inevitable festive season….!! I’m new to following the Refashioners with the 2017 suit challenge. I’m a “Wendy” too- but the similarities didn’t stop there. I totally agree about cutting up useful clothing- I want to make something I actually would love wearing! Many peope in the quilt world don’t know what a slip stitch is, so that was a fun video to watch. Like you, I like to plan ahead and know where I’m going. For one thing, my mind tends to make creative leaps, and I more or less can “see” where I’m heading (and can reverse engineer my way to Step 1 before going forward again). And I hate being boxed in. So many people think getting boxed in leads only to creative solutions, but I know from sad experience that sometimes there are only “make-do” solutions, not great ones. In this case, avoidance is good! 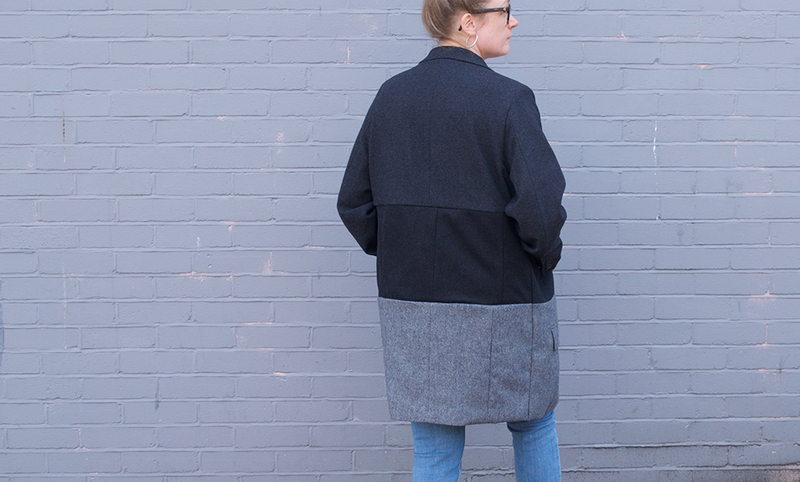 I live in Oregon, USA, so although I’d love love love to have the Tweed Jacket to start my own color blocked jacket refashion, I think it should stay in the UK. I’m skilled with sewing (used to make all my own clothes) but I never learned the art of pattern drafting. My “upcycling” of old & thrift store clothes into new clothes has been hit or miss, with more successes than misses as I get more experience. I’m more known in the quilt world, but in the past few years, I’ve turned to what I called upcycling, but I just might have to say “refashion”, because I love that term so much! Back in the late 1960’s, I used bread wrappers to make a shower curtain (long lost) and a bread wrapper raincoat (also long lost but photographed at least), with fussy cutting/color blocking- you can google me and find that photo online. I just started following you on IG- look forward to great photos! Always nice to meet other Wendys and I’m pleased to hear my video was useful. I love the sound of your up cycled bread wrappers – very Hockey-esque!! Funnily enough I’m also really interested in quilting too – I wonder if once you’re interested in recycling and re-using textiles the particular channel for our sewing skills broadens out? I sooo love your coat. I love taking quality fabrics and making something I couldn’t afford in a million years. 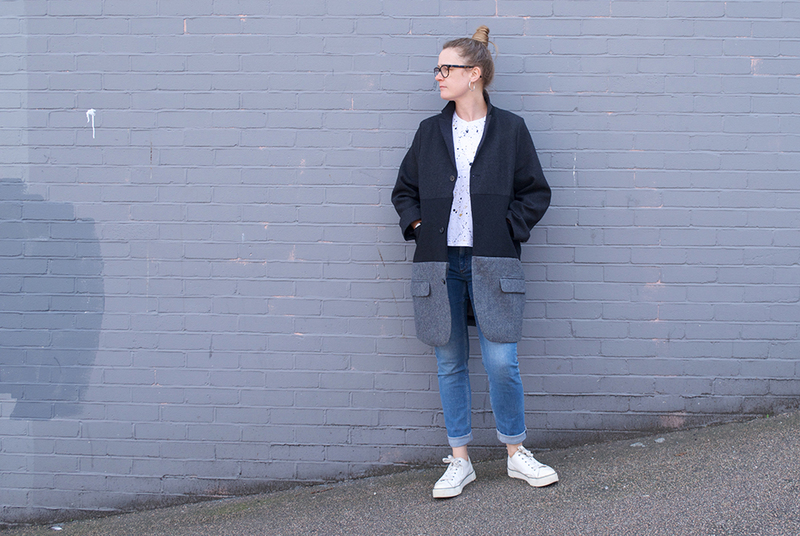 A huge bonus is that it’s not something you can find in stores – a perfect mix of quality traditional garments reworked into something that’s just a bit ecentric…LOVE. I would make it out of all black or grey toned suits to reduce the bulk on my short frame….classy goth. The tweed I may use to do this coat, with the feature pattern on top and complementary plainer fabrics for the bottom tiers. I have found my “people” on your site. I really liked the variety of color and texture of the jackets brought together. Keeping the pockets intact also added to the charm as well. However i think the final result is a bit bulky for my taste. You have said you do not prefer “perfectly tailored” pieces. I guess it fits your definition in this sense.If i had the tweed jacket i would try to transform it into a dress. 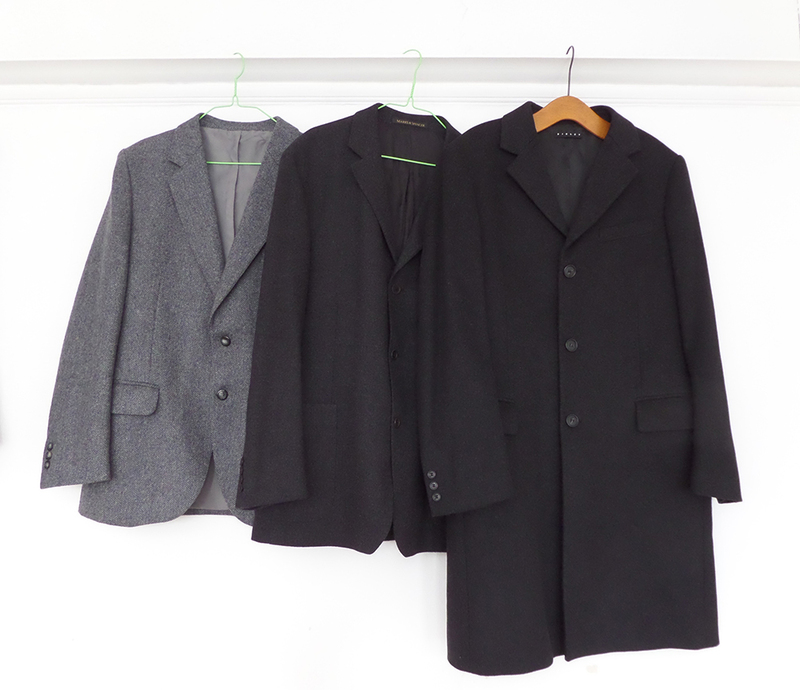 Thank you for sharing the refashion process of the suits and the giveaway. Well it would be a boring world if we all liked the same thing wouldn’t it 😊 a Harris tweed jacket into a dress sounds like a good refashioning challenge! Great original idea, may consider making one myself, but you have refashioned 3 jackets not a suit. Ha ha 10 out of 10 for observation! ! I’m calling it artistic licence and working with what was available. I love the finished garment. My goodness 12.50 for a sisley brand coat is a fabulous find! Having, in the past, sized down a 47 ” chest jacket to fit my 9 year old (he was going to watch Dr Who Live when David Tennant was Dr Who), I can appreciate the amount of work in this! I would love an evening version of this with brocade. Thank you for the tailoring tips above too. Love Harris Tweed a lot, can honestly say that I felt I was desecrating a beautiful jacket when I sized down the jacket for my son, lovely lining, leather woven buttons. It was so complex, I ended up buying a boys jacket pattern from Burda and finally finished the jacket 10 minutes before he was due to set off on his big night out! It rocked! I think I really got lucky in the charity shops, I must’ve timed my trip just right. 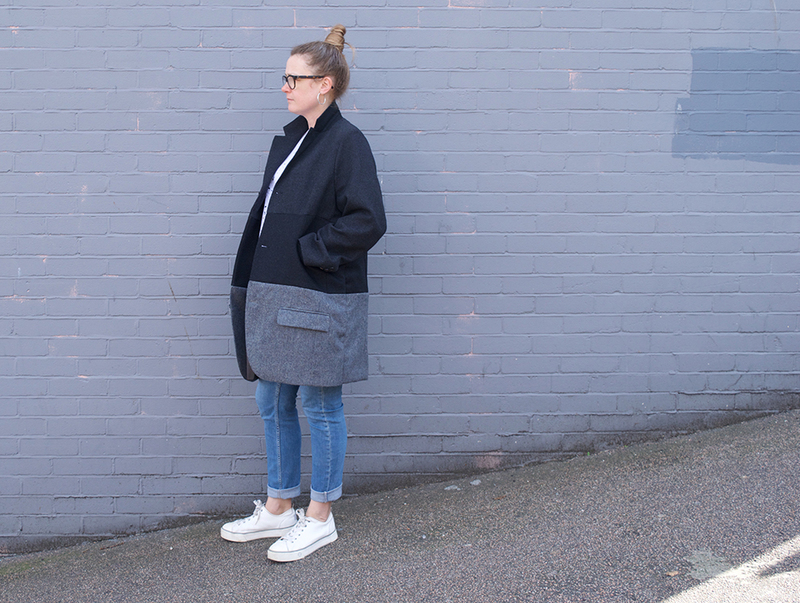 Now your refashion sounds like a real labour of love!! I really like your post, full of tips and reflections and tutorial. I love the final result, it’s easy, stylish, beautiful and useful. 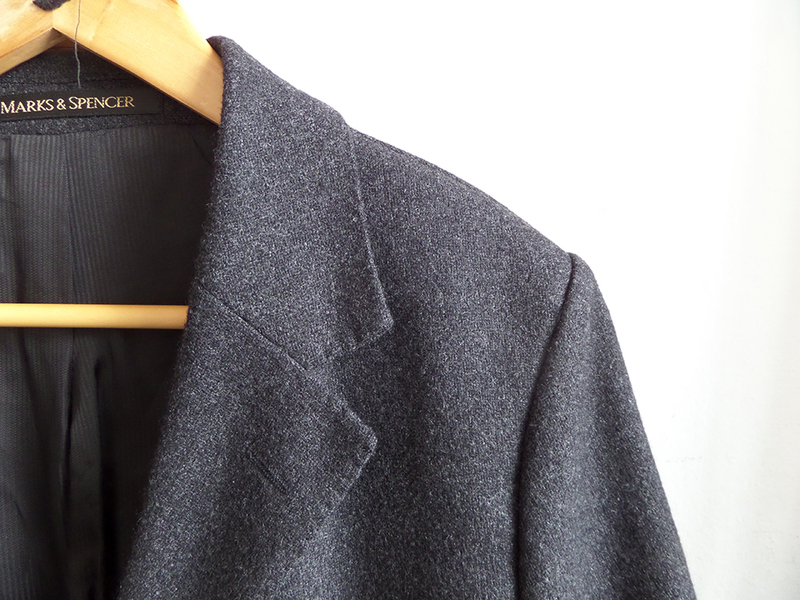 I looove the insides, so neatly finished – this is a way to show respect for the previous tailoring labor and owners. Lastly, I totally agree with many of your points of view. A garment like this would get a lot of use for me, because winter here in Brasil is not long, and temperatures are not so dramatic. Also, I’ve been on and off sewing for many years now, and this refashion would be something possible to achieve through my skills… while learning about tailoring! Thanks so much for the opportunity. It’s kind of funny to think about Harris tweed on a tropical land, but the more I envision this vest, the more it makes sense to me. Through autumn and spring we get windy chilly nights, and we practically have no heating, so you need something to keep you warm, since everything is kind of cold. The refashioners is such a good project, isn’t it? Pushes people to learn, be creative, and spreads the bug around to everyone who gets in touch with it. Next year I’ll totally compete. I love this coat! I love how you have turned it into something quirky yet wearable, while still keeping much of the design elements of the original jackets. And so many pockets – you can never have too many! And what would I do with the tweed jacket…well, my boyfriend adores Harris Tweed, so if it fit him well I COULD be a generous girlfriend and let him have it. OR (as is more likely) I could be selfish and chop it up to turn into a bomber or moto jacket, probably with some floral embroidered details, because why not? Ha, everyone needs a coat of many pockets! I like your Harris tweed ideas, thanks!! Wendy, I totally love your refashion! Best one yet!! It is so wearable, I can see you living in that amazing coat.